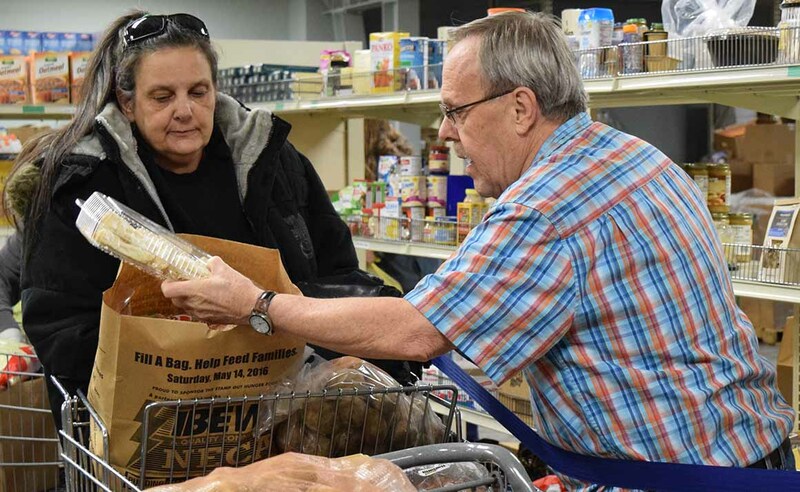 As a volunteer at Heartland Hope Mission, you will be helping build a stronger community by assisting working poor families choose food, clothing and hygiene items. Your smile will bring hope to people in desperate situations. Join our community of over 7,000 passionate people making a difference. If you are interested in volunteering, please complete our Volunteer Form. Ages 12 and up are welcome to volunteer, and ages 12-15 must volunteer alongside a parent or group leader. If you are interested in volunteering or joining a committee, please complete our Volunteer Form to tell us about you or your group. Stuff a Truck is held at all 11 Omaha Metropolitan Hy-Vee stores each year during the 3rd week of August. Over 100 volunteers are needed to assist by giving Hy-Vee shoppers the opportunity to purchase $5 or $10 bags of food for families in need at our pantry. This event is Heartland Hope Mission’s largest fundraiser of the year. Volunteers are needed to assist our staff in set-up, facilitating and tear down. Christmas in South O distributes brand new toys, wrapping paper, books, stuffed animals, blankets and food to help families who would otherwise not be able to provide a Christmas meal and presents to their children. There are many opportunities to volunteer or donate and give hope for Christmas to over 1,200 children in need. To learn more, email info@heartlandhopemission.org, call 402.733.1904 x.16 or simply complete the Volunteer form.